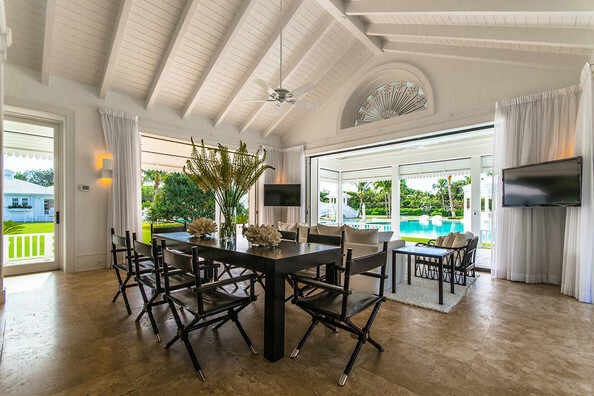 Set on six private acres on the Atlantic Ocean in one of the most expensive neighborhoods in the United States, Dion’s Bahamian-style 10,000-square-foot home boasts eight bedrooms and a covetable 415 feet of private beach. Whether the strains of “My Heart Will Go On” make you swoon or scream in agony, you’ve gotta admit that singer Céline Dion has already had a tough year. In January, she lost her husband of 21 years, René Angélil, to throat cancer, followed by her brother Daniel Dion just two days later. Yet amid her grief, she has managed to return to the stage at Caesars Palace in Las Vegas on Feb. 23. 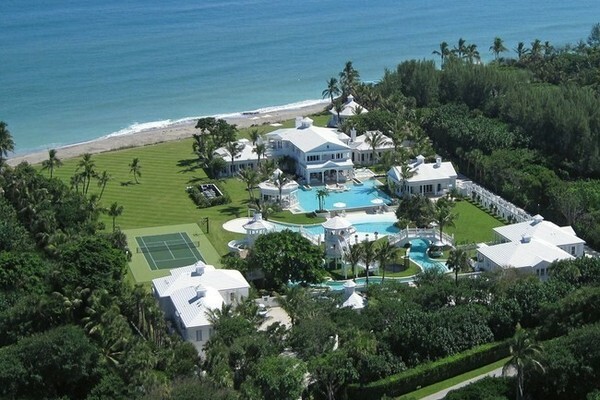 And she has also embarked on another daunting task: selling her mansion in Florida for $45.5 million. 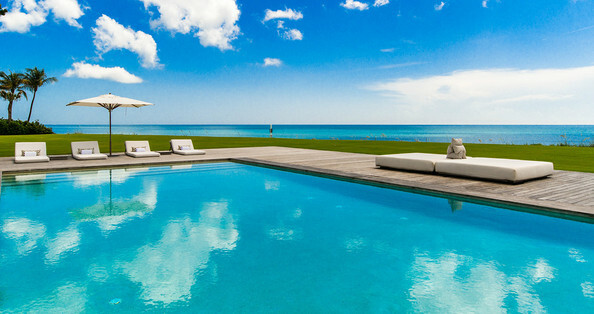 This isn’t the first time the pop diva has tried to unload this property located at 215 South Beach Road on the celeb-studded enclave of Jupiter Island. In 2013, the year that her husband’s cancer returned after 14 years, they put the property up for sale for a nosebleed-inducing $72.5 million. 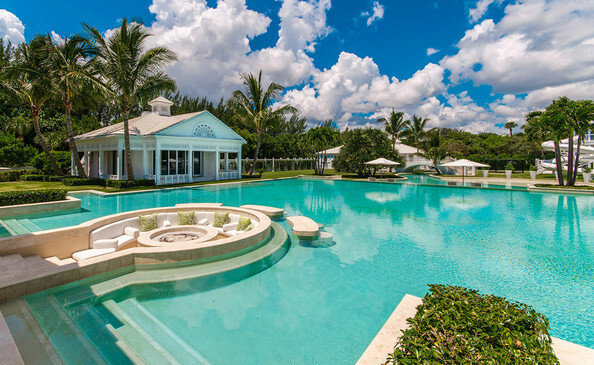 Then, as no buyers bit, they whittled that down to $62.5 million. Now, Dion has a new listing agent, Fenton Lang Bruner & Associates, and a far less diva-esque (although still hefty) asking price. And for that price tag, you won’t just be buying a nice house. 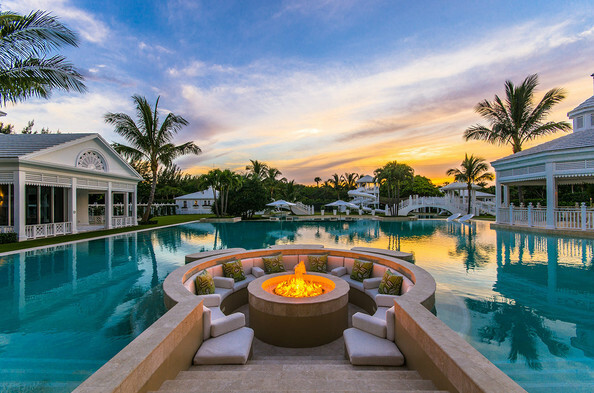 The 5.5-acre property also features a 500,000-gallon water park — just the thing to commemorate the original owner who made her indelible cultural mark with the theme song to “Titanic”! 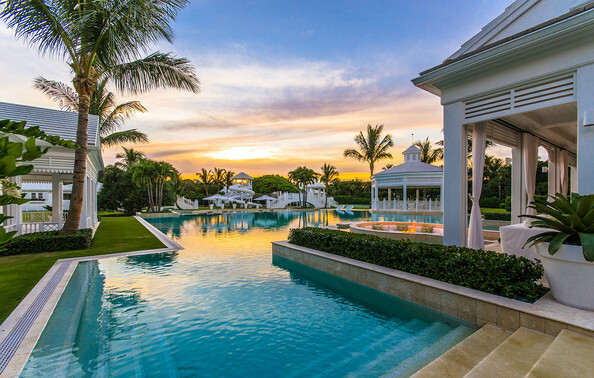 Meanwhile, the 10,000-square-foot residence has five bedrooms with a wraparound terrace, along with two four-bedroom guesthouses, three swimming pools, a tennis house, a golf range and famous neighbors, including Michael Jordan and Tiger Woods. Clearly this place is a paradise, particularly for kids. Which begs the question: Why has it sat on the market for so long? 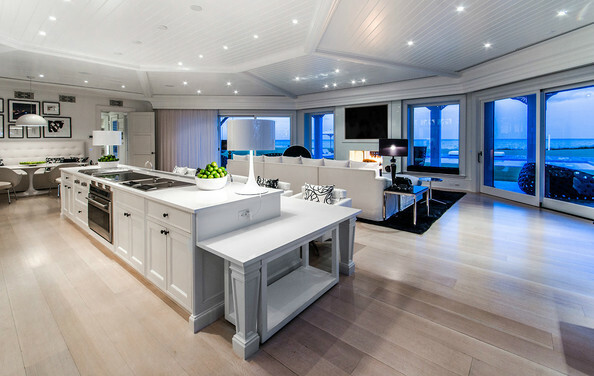 One reason is obvious: Even at its reduced price, it’s still in the upper strata of luxury real estate.